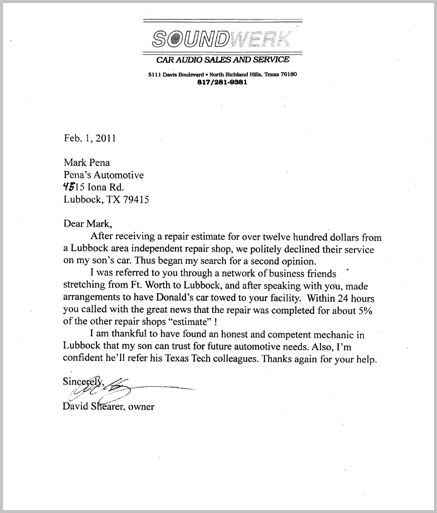 In February 2011, Pena’s Automotive received a special thank you letter from David Shearer of North Richland Hills in regards to automotive work. We would like to share this letter with the rest of our clients. Our special thanks goes out to Mr. Shearer for taking the time to reach out to us here in Lubbock. Thanks again for your patronage, and best wishes to your son at Texas Tech. Mark Pena needs your help before 7/22/10 !!!!!!!!! 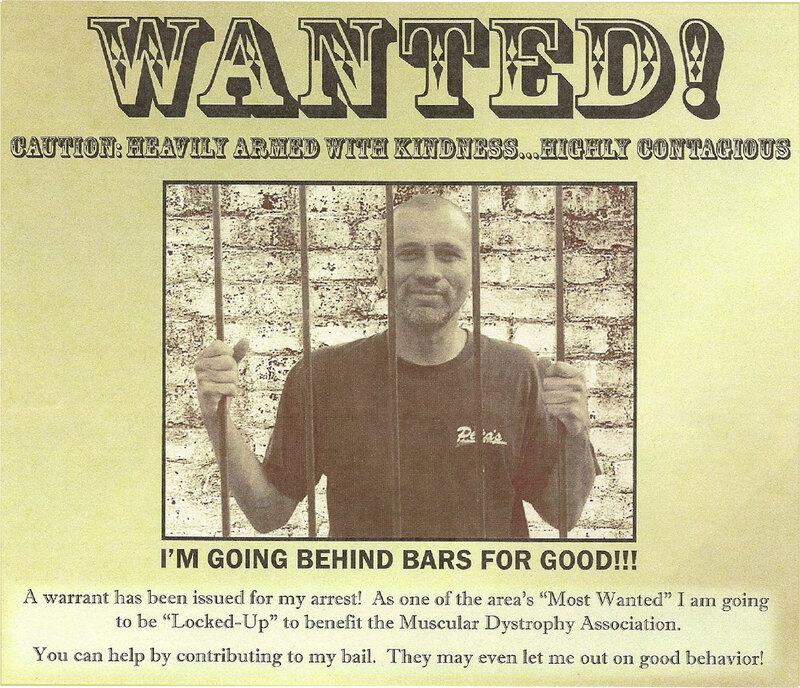 I’m excited to tell you that I have chosen to serve as an MDA Jailbird and am being Locked-Up…that’s right, I’m going behind bars to help Jerry’s Kids©. In order to be released on good behavior, I need your help to raise my “bail.” My bail has been set at $1,600.00 and if everyone I know makes a tax-deductible donation, I’ll reach my goal quickly! Just click here to see the video and to make a secure, online donation before 07/22/10. This is a fun event benefiting individuals and families served by MDA who are affected by neuromuscular disease. I am honored to partner with MDA, and help this important cause. Don’t hesitate to call or e-mail me with any questions. Thanks in advance for your help. Together we’ll make a difference! P.S. I’m counting on you, click here to donate.